In observance of the Presidents' Day Holiday, the RideConnect office will be closed on Monday, February 18th re-opening on Tuesday, February 19 at 9:00am. Have a wonderful weekend. 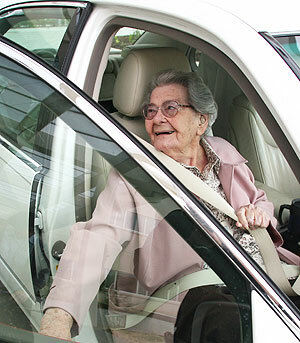 RideConnect , a not-for-profit program of Family Services of Westchester, is dedicated to finding the fastest and most cost-effective transportation options to meet the needs of older adults, age 60+, in southern Putnam and Westchester Counties. Are you finding it difficult to visit old friends, attend community events or see your favorite hairdresser? If so, then let RideConnect help you get back on the road to a fulfilling life! To find transportation resources, you can conduct a search below or call one of our friendly and caring transportation counselors at (914) 242-7433. We are staffed Monday through Friday from 9am to 5pm and we look forward to speaking with you! Family Services of Westchester's (FSW)'s RideConnect Program, a volunteer-based transportation service for older adults, has been awarded a 2016 STAR Award for Merit by the National Volunteer Transportation Center (NVTC). The NVTC STAR Award, which provided a generous $1,000 prize, recognizes outstanding volunteer transportation programs and the involvement of their volunteer drivers in promoting and providing transportation services to passengers, especially older adults. Please look under the 'Our Services' tab to see the current schedule for the Weekly Shopper Bus! Please consider giving the gift of mobility and independence to those in our community who are unable to drive. All that you need is a valid driver's license and the desire to make a difference! You can volunteer as little or as much time as you are willing to give and we look forward to hearing from you. Please fill out the short information form under the 'Volunteer' tab of our website, and our staff will contact you directly. Thank you! Is a return trip needed? Where will you be picked up? Where will you be dropped off?